There comes a point in everyone’s life when they experience the urge to travel. Whether early or later in life, people feel the need to expand their horizons. There are travelers that choose to explore the world on their own. However, there are also a great number of people that want a travel partner to experience the world with them. This is where TWIP comes into play. TWIP is a social matching website that groups individuals together who have the desire to travel and enjoy the company of people with similar interests. These individuals are grouped together based on their Travanality. What is “Travanality” you may ask? Well, let us explain. “Travanality” is your travel personality, and TWIP believes everyone has one. They are the qualities that defines how a person likes to travel and experience new adventures. These personalities include The Urbanite, which is a person who loves the excitement of being in a city and likes to wander the streets of an urban landscape foreign to them. There is The Epicurean, the traveler who needs to indulge into a culture’s cuisine in foreign places. Eating and drinking are not simply means of bodily sustainability. The Soulager looks for a place for peace and relaxation, searching for a grain of paradise to recharge. The Purist is one who travels to connect with the outside world. These individuals desire to be with the beauties of nature that have been untouched. Lastly, there is The Maverick. This individual wants to live their life to the fullest and feel the adrenaline rush that goes along with it. 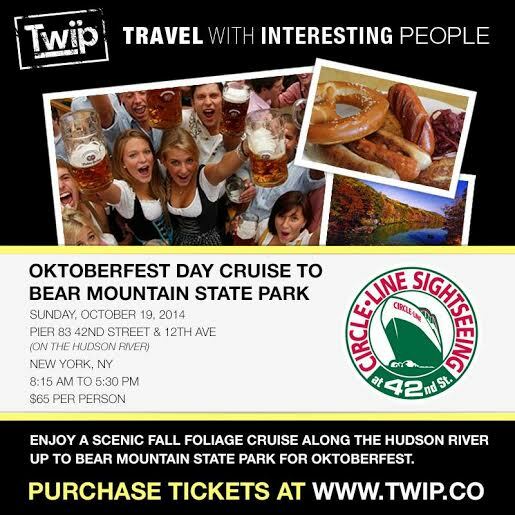 Every month TWIP brings individuals together at events in the Greater New York City area. Travelers mingle, discuss their travanality and find out Twips they want to see us offer. TWIP’s goal is to bring like-minded people to these events to create amazing TWIP experiences based on user recommendations. SquadUP has been a highly effective outlet for finding these individuals new to the TWIP scene by bringing them together to discuss their travel interests and experiences. The next time you feel the urge to get away from the chaos of everyday life, check out TWIPs upcoming events and trips. TWIP travels all over the world and plans a variety of activities to fit every Travanality while offering luxury accommodations to ensure your experience with TWIP is the best experience of your life!